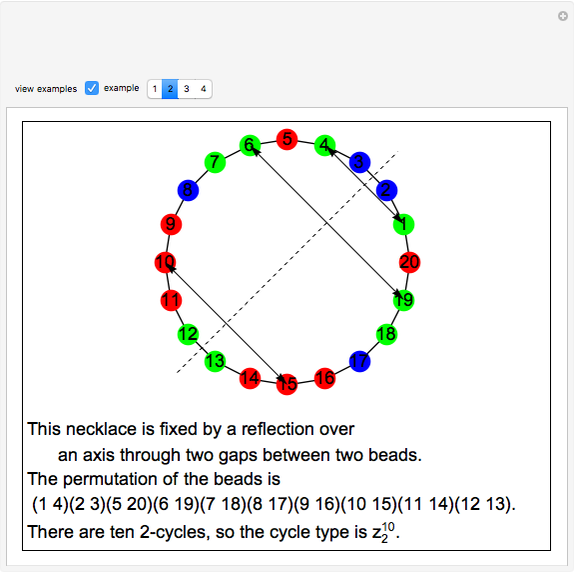 A necklace is an -coloring of the vertices of a regular -gon. The vertices are interpreted as the beads of the necklace. 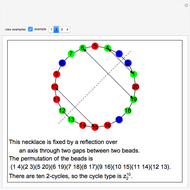 This Demonstration shows the computations involved in using Burnside's lemma to count the number of -bead necklaces for through . 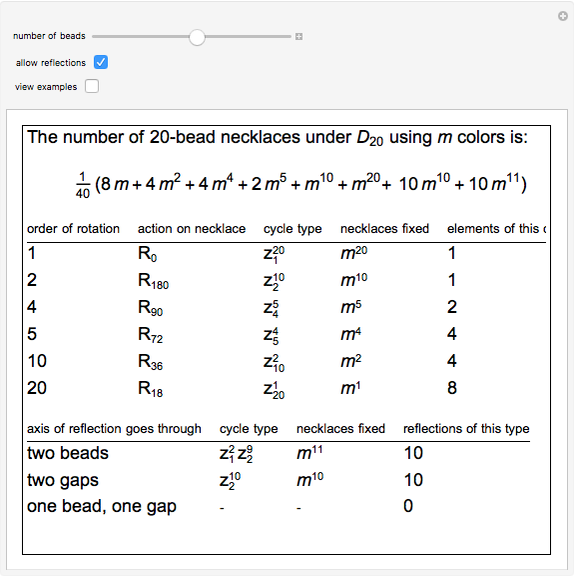 Several examples are provided to clarify the notation used and illustrate necklaces fixed by rotation or reflection. Two necklaces are considered different under a group action if no action by a group element sends one necklace to the other. 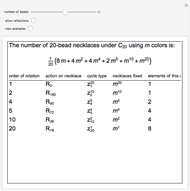 The number of different necklaces using colors under is , where is Euler's totient function. Under the number is ) if is even and ) if is odd. 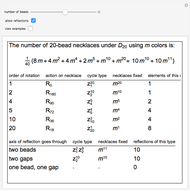 The reason for the difference in formulas for odd and even when allowing reflections is the difference in the axes of reflective symmetry (see snapshots 3–5). 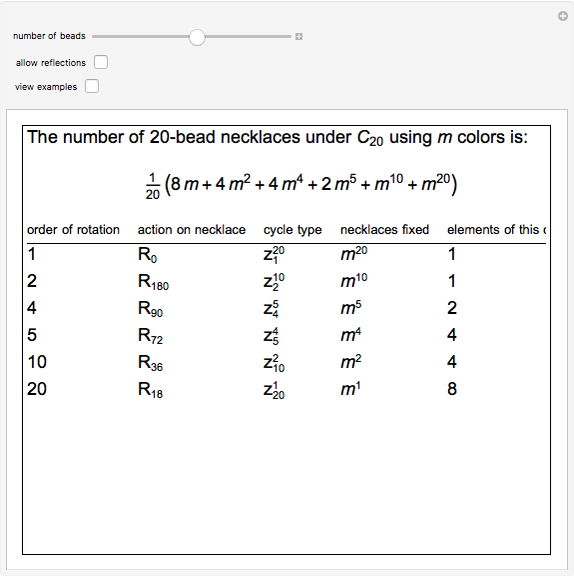 Note that in each step of the computation, the exponent on for the number of necklaces fixed is the sum of the exponents from the cycle type of the corresponding permutation (see snapshots 1 and 2).